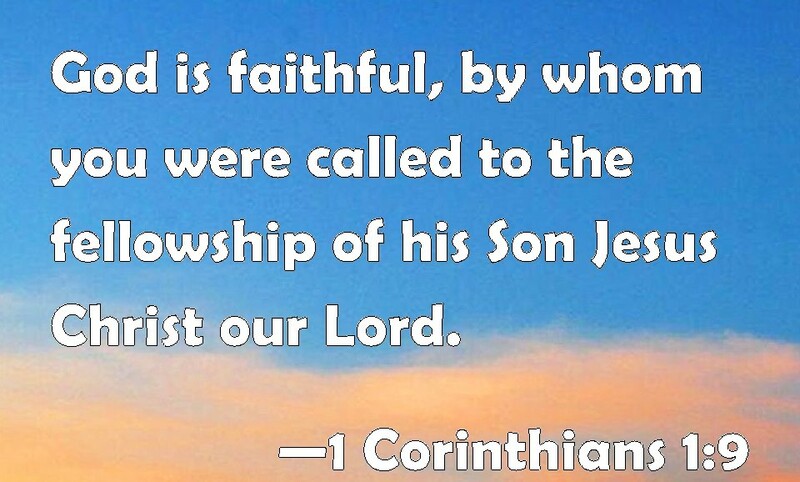 The bible gives us so many promises,and God is truly faithful to all of them! 1. )When we do His will,we are heirs to His promises(Hebrews 6:10-20),(Romans 8:11-18). 2. )We are given the Holy Spirit who is our comforter,and is the one that helps with our infirmities(Romans 8:24-28),(John 14:16-21). 3. )All that we endure in our lifetime,we have a comfort in knowing there is nothing that can ever separate us from the love of Christ! (Romans 8:35-39). 4. )There is a peace that passes all understanding,unlike the peace the world offers us(John 14:27). Philippians 4:4-84 Rejoice in the Lord always: and again I say, Rejoice.5 Let your moderation be known unto all men. The Lord is at hand.6 Be careful for nothing; but in every thing by prayer and supplication with thanksgiving let your requests be made known unto God.7 And the peace of God, which passeth all understanding, shall keep your hearts and minds through Christ Jesus.8 Finally, brethren, whatsoever things are true, whatsoever things are honest, whatsoever things are just, whatsoever things are pure, whatsoever things are lovely, whatsoever things are of good report; if there be any virtue, and if there be any praise, think on these things.